Looking to enhance your perfect day this summer? 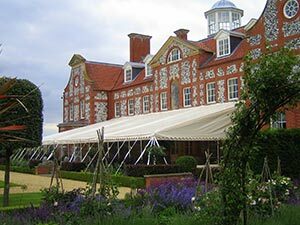 Looking for a marquee but don't know what you want? Getting the venue right for your big day is one of the most pressing and important considerations. And yet it is often the one that is out of your hands. Here at Weatherill Brothers, however, we design, manufacture and erect spaces to your exact specifications. We can also offer other facilities such as dance floors, bars, toilets and even air conditioning/heating depending on the season. We have a time-keeping promise, meaning we’ll be on site and setting up exactly when you need us. We can offer an attended service, meaning there is a professional on site at all times. Simply get in touch on 01953 882 394 or email us at sales@weatherillbrothers.co.uk. we’ll take care the rest.